Full Description: In the heart of the Alpes de Haute-Provence, 15 mn from Lac de Serre-Ponçon, at 1600m, Chabanon-Selonnet is a traditional resort, classed « Natura 2000 », which will seduce those looking for mountain charm and authenticity. Just as attractive in summer as in winter, there are many activities here: ski and other mountain sports on the 40 km of skiable pistes, or walking and ariel pursuits at the Tallard air-base (30km away), and everything under the Provence sun which shines 300 days a year! 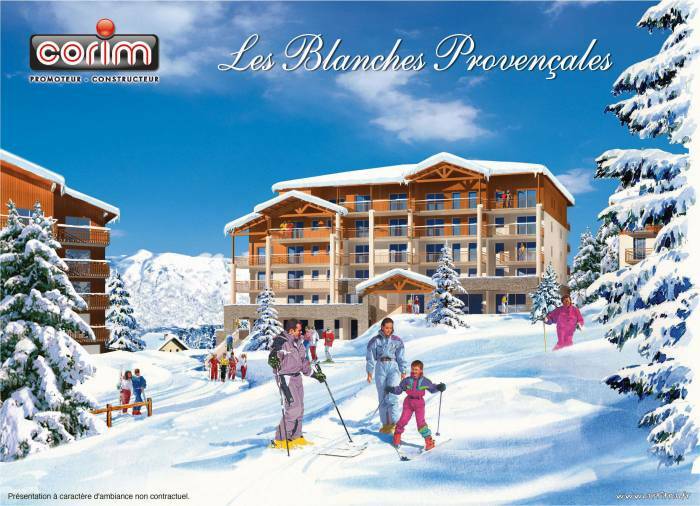 With 2.4 million tourists a year in the Alpes-de-Haute-Provence, these apartments are a secure investment in terms of providing enough year-round tenants to give you an excellent guaranteed rental income of 4.5% per year. The residence itself is a 3 star rating, built to a traditional wooden design, with the apartments entirely furnished and equipped, and with terraces and views over the mountains. The residence also has a spa, sauna and health and beauty room. Studios, 1-bed and 2-bed apartments are available. Lease is 11 years, 11 months. Income revised every three years. You have the right to stay in the apartment for a preferential tarif - 20% discount on the published brochure price. Serre Ponçon lake lies nearby for sailing, fishing etc. Email me for more details, full stock list etc. Short Description: Chabanon-Selonnet - a great winter and summer resort with fab ski-ing, superb choice of lake, river or arial outdoor pursuits in the summer. Benefiting from the 300 days of glorious Provençal sunshine every year!